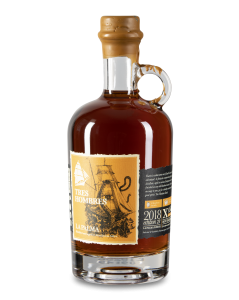 Labels made by hand: All the labels on this years bottles are made in wood and applied by hand, and the drawings on the labels are made by one of the crew members at Tres Hombres. 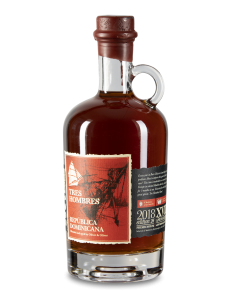 #22 Porto Dominicano XVIII: Porto Dominicano XVIII is a premium Dominican rum with Port Finish. 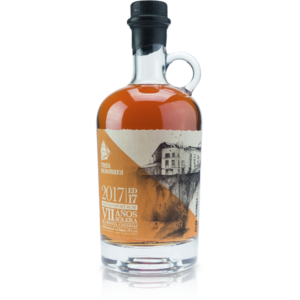 It is bottled at 42% and distilled by Oliver y Oliver. 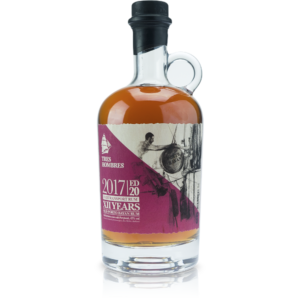 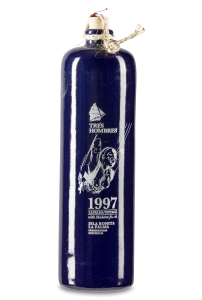 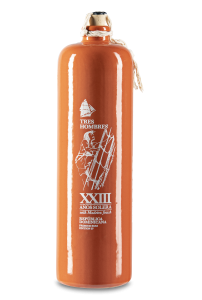 Tres Hombres themselves describe this rum as ”an excellent solera blend”, which is a blend of very old Caribbean rums made by Pedro Ramon Oliver. Porto Dominicano XVIII is aged in Bourbon barrels of American Oak and then finished for 8 months in 225 lt port casks.